Gum disease, unfortunately, is far more common than people realize. Here at Bagoff Dental Arts we treat gum disease in all stages, but we also know the importance of early detection. 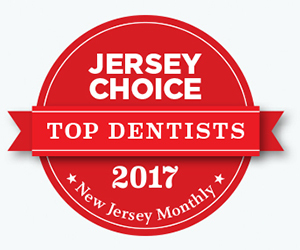 If you are looking for a dentist in West Orange, NJ to diagnose and treat gum disease learn more about what to expect prior to your visit. Gum disease is a serious infection of your gums that can lead to devastating loss to your jawbone. Also known as periodontal disease, gum disease begins with a buildup of bacteria in your mouth. The most common form of periodontitis is gingivitis. This is noted by bleeding gums that are swollen and red. You typically will not have pain when you have this early stage of gum disease. If I Do Not Treat Gum Disease Will It Advance? Yes, if you fail to treat gum disease in a timely manner it will advance beyond gingivitis. Some of the most common types of advanced gum disease are chronic periodontitis and aggressive periodontitis. You can also develop necrotizing periodontal disease, which is noted by lesions on your gums. Individuals who have systemic diseases, such as diabetes or heart disease, are also likely to develop periodontitis as a result of their health condition. How Does a Dentist at Bagoff Dental Arts Treat Gum Disease? The best way for your Bagoff Dental Arts dentist to treat gum disease is by catching it early on. This allows your dental professionals to thoroughly clean out the bacteria that is in pockets around your teeth. These pockets must be treated professionally to ensure the bacteria is removed completely without damaging the roots of your teeth. If caught in time gum disease can be treated so that your gums and teeth can return to their healthy state. If you do not treat your gum disease in a timely manner you will most likely end up having advanced stage periodontal disease. This can lead to tooth loss, tissue loss in your gums, and infections that could jeopardize your health. If you would like to get treatment for your gum disease in West Orange, NJ Bagoff Dental Arts can assist you. Contact our office today to schedule an appointment for diagnosing and treating gum disease.